Egg nog is traditionally loaded with sugar and stabilizers. 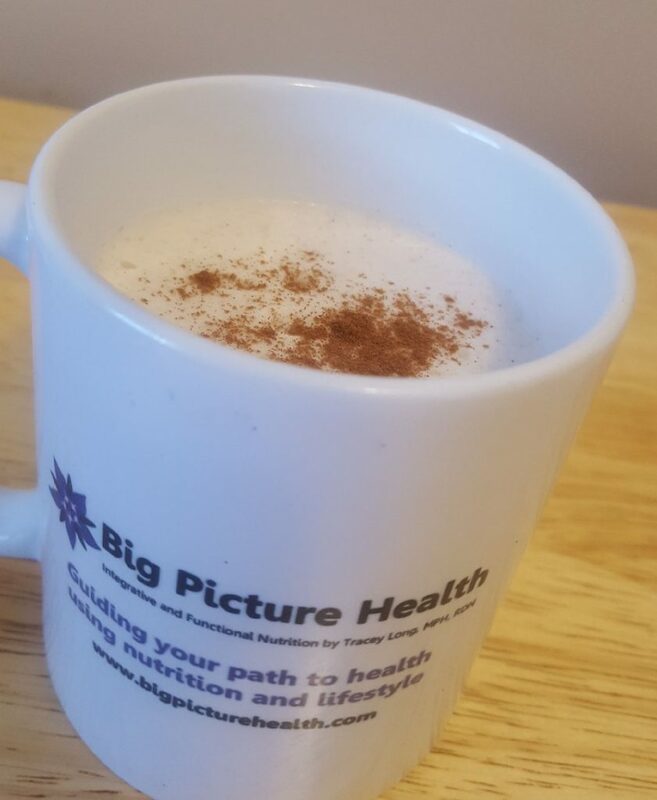 As you become fat adapted and shift your palette away from sweets you will find that this version of nog is a filling and satisfying treat made with simple and pure ingredients. Combine all ingredients in a high powered blender and blend until well-combined and frothy. Serve immediately or warm in a pan and serve hot, topped with cinnamon. Store in fridge for up to 5 days.